Fancy setting up your own gin empire? This week on the blog, Becka from Appetite Me talks us through the process of setting up your very own distillery. Like most things there are many ways to set up a gin business, there is no right or wrong way, and there’s definitely no size fits all solution. That being said we have created this article to give you some important pointers and things to consider, to help you discover your own journey of setting up a gin distillery. Whether you are looking at setting up your own distillery or just interested in finding out more about the process, by the end of this article you will have a better understanding of what craft producers have gone through to get that gin into your hands. The first thing to understand is that you are starting a business, which is scary and will have its obstacles and challenges, but it can also be extremely rewarding to build a company from scratch. To make it work you will need to have an entrepreneurial attitude with a diverse set of skills and a willingness to work seven days a week for the foreseeable future. When you look at successful gin companies, what under pins their success is their ability to combine their talent for innovation for creating a new product and their sheer determination to make it happen. Many people aren’t put off by the workload and the sacrifices that a new business will bring, but you need to love what you do otherwise you won’t have the passion to commit to your new venture and make it a success. If you don’t love the drink industry, the spirit, the category then dedicating all your time to it and the relentless pace will leave you questioning why you are doing it. Starting a business, especially in craft distilling is a lifestyle not a job. You need to ask yourself – do you love this enough to survive the late nights, tastings, training days and early starts. There will be sleepless nights, endless working hours, new challenges, learning random skills and making tough decisions. Sorry that this section is a bit of a buzz kill but you need to be 100% sure that this venture is right for you before going too far down the road. Hopefully you know you love gin, that you want to be your own boss and that the long hours and commitment doesn’t scare you, and you’re completely ready to jump into your new business venture with both feet and your eyes wide open. This doesn’t mean just drinking a few gins and visiting the local bars, although it is important to get a feel and taste for your competition. You also need to read books, learn the history of gin, the origins of distilling, how alcohol is and was made, rectified and even imbibed. Learn about cocktails, not just the history, but how they are made and what bar tenders are doing today. Visit distilleries, talk to makers, learn as much about gin as you possibly can, as this will make a huge difference to the success of your new venture. Being around inspirational characters and learning about the heritage of a spirit that has so many amazing moments in history is a really inspiring part of the journey, many say it’s the point where their interest turned into a complete obsession! There are over 300 gins in the UK and even more in the USA, so it’s important to know the competition and where you stand in relation to others. If nothing else, it is solid competitor analysis, but potentially it will help you make the right decision for you and finding where you fit within the industry. Knowing your competition will also help you make informed and educated decisions. You should make doing research a monthly ritual, because the industry changes so fast that you don’t get left behind, as what you are doing now will be out of date in a years time. Carrying out regular research will also enable you to stay ahead of your competition and spot new trends and techniques as they arise. Like setting up a gin company there are also multiple ways of gathering funds, but the two most popular solutions are crowd funding and private investors. Crowd funding is a great way to raise funds without giving up equality while still growing a solid fan base, but it’s not all plain sailing. A quick look on kickstarter and other crowd funding sites alike however show several failed attempts at securing funding to start a new distillery. Currently for every one successful craft distillery campaign on crowd funding sites there are four that sit there incomplete. So don’t be fooled, creating a successful campaign is hard work. Unfortunately it is not as simple as making your campaign live and watching the backers come in on their own, you need to share your campaign everywhere, tell all your friends and family about it and ask them to spread the word, tell local businesses and ask if you can leave some leaflets for their customers, share over all your social media and mailing list, and contact local press and relevant publications for a possible feature. With clever planning and hard work of spreading the word around, creating a crowd funding campaign is a great way to raise funds for a new venture and may be the right route for you. The other option is to go via private investors in the financial world, which also has it’s pros and cons. 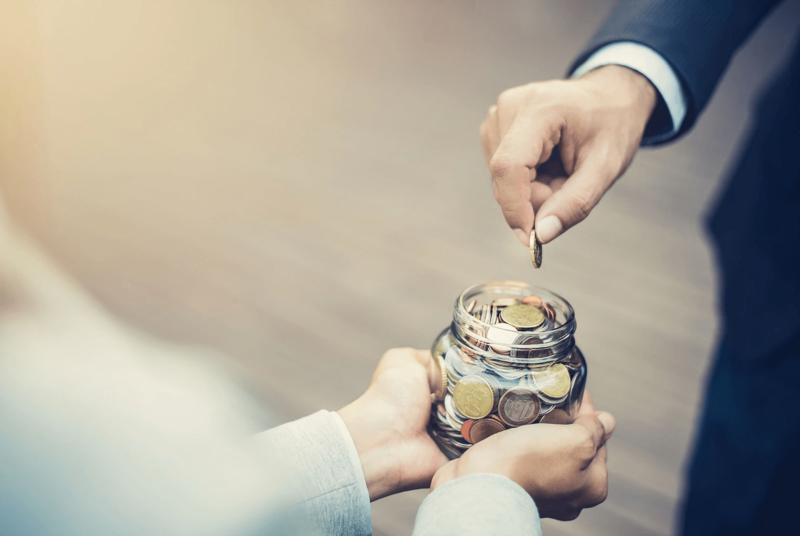 Pros include the availability of higher funds upfront and at favourable rates with some expert guidance in terms of raising more money and managing balance sheets, which ultimately makes your business more attractive. Cons include giving up large chunks of equality and the possibility of being tied to investors who have different ideas for your business. So there is a lot of things you need to consider if you plan to go down this route. There is also another option you could consider that does not require significant investment from yourself, called ‘cuckoo distilling’ which is where you utilise somebody else’s craft distillery equipment. There is also the option to get an existing distillery to distill your spirit under licence and to your recipe, both of which may be more suitable options for you if you are unable to secure funding. Now a bit about the nuts and bolts of the business. There are a lot of costs you need to consider and factor in when setting up a distillery, proper stills from the likes of Carl or Holstein will set you back £50k-£250k depending on what you are looking for, and getting them installed will be pricey too, especially if you opted for a steam jacket rather than an electric one. Base spirits, botanicals, bottles, corks, seals, licenses and duty also all need to be factored in when planning costs. As well as running costs, overheads, and marketing, along with distributors, agencies and consultants need to be taken into consideration. Before moving on to the next stages make sure you have a three to five year plan and be sure you adjust to it constantly, changing those yearly goals on a six month basis. Also draw up a business plan, filling it with as much detail as you possibly can and scrutinise it, then have others look at it and give you critical feedback as it is important to get this bit right to see any potential footfalls. Time to find your location and get it licensed as soon as possible. Be sure to get all the legal requirements sorted as soon as possible to avoid disruptions in getting you started on your new venture. Some distilleries have been forced to wait months to get their paperwork approved, others have had to change the law in order to make it happen which has taken even longer, and others have had full approval in less than two weeks. Distilling is very tightly controlled, it is actually against UK law to put alcohol in a still without having proper approval. There are also a multitude of different licences that you will need depending on what products you want to make, how you want to make them, how to age them, duty arrangements etc. The Spirits Regulations 1991 define each and every Spirit made and drunk in EU, so its worth checking reading up on the regulations to avoid any pitfalls going forward. For example some categories of products only differ in the way that they are distilled and some can only be made in certain locations. You will also need to consider Planning Law, Food Legislation, Health and Safety Laws, Environmental Protection laws, regulations pertaining to the sale of alcohol, rules on advertising etc. Remember you will also have to pay considerable duty on every bottle of gin you produce as well as VAT, currently UK exercise duty for spirits is £7.54 per 70cl. 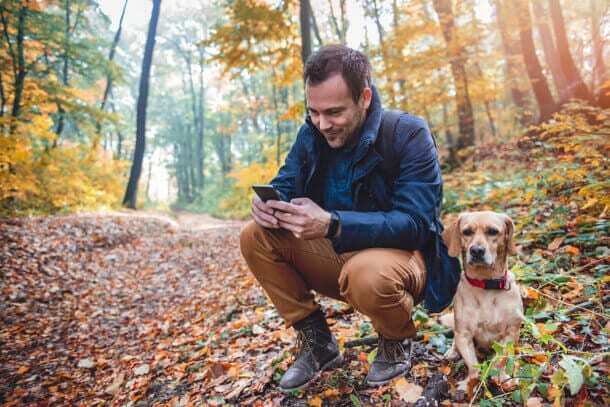 Wherever you choose to set up you will always have an impact on your local area, so why not try and make it a neutral one for the environment and a positive one for the neighbourhood. They have the opportunity to be your loudest fans or your worst enemies, so it’s worth taking the time to get it right. It will also set the tone for the rest of your operations and the way you go about telling your story. It’s time for the big question. Why are you doing what you are doing? Why did you decide to make your own gin? How are you contributing to the industry in a positive way? What makes you different to the other gin companies on the market? All these questions help form your ethos, your business morals and your business direction. People are more likely to buy your gin if you are clear about your story and what inspired you to set up your own gin business. All this will help form your branding image and give you direction on where you want to take your business and in turn what paths you need to take to get there. This is possibly one of the best parts of the journey! Trying out various recipes and finding the right people and companies to help get you there is quite challenging but incredibly rewarding. Finally you are making! Most distilleries average somewhere between 10 and 25 recipes before fine tuning their chosen one, there are even some distilleries that when pushed, will reveal they changed the recipe on the third or fourth commercial batch after release. But it’s always best to put some time and budget aside to get it right before it goes to production. Test it out on bartenders and people who you trust that will give you honest and constructive feedback, make them do a blind test if necessary. It can be quite a tough juggling act to mix the fun of creating a new gin with the analytical side of what is required to improve each attempt and what will capture the consumers imagination. Don’t forget to find a balance between personal opinions and general consensus. Where possible go local with your suppliers and botanicals, amongst many things thats what craft distilling is all about. Regional accents are a good thing, being a craft distillery shouldn’t be about size, so try to take the grain to glass approach with all the elements. Working with what’s around you will be your best method to being inimitable. Also be honest about the production of your gin, where the ingredients are sourced, why you use what you use all make up your story, which is something that is really important to the consumer. So stay away from hiding information and stating false truths, it’s honesty and trust that will grow your business and create loyal customers. The market for craft spirits is not only expanding but it is getting more competitive with so many spirit brands competing for customer loyalty. 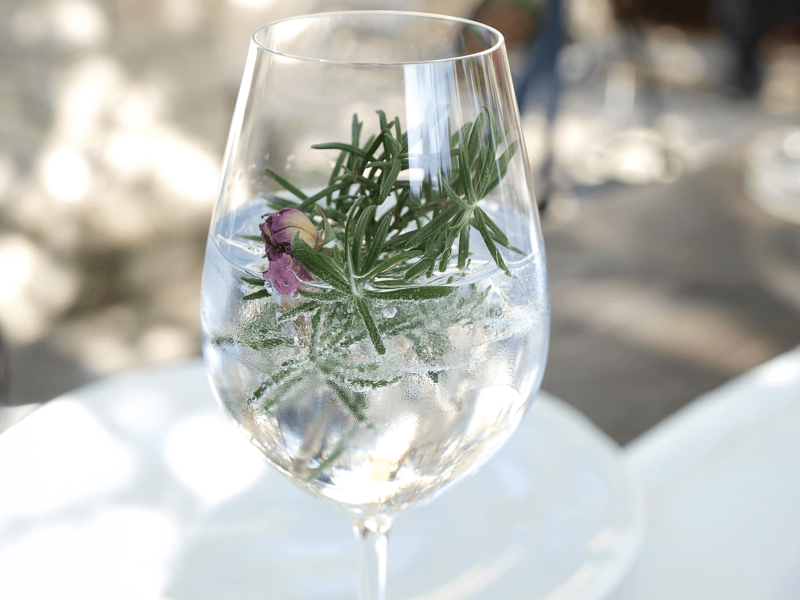 It goes without saying that you want to create a spirit brand that is engaging, memorable and speaks and connects to your target audience on a deeper level other than it just being gin. The interest in local food and traceability means that people are increasingly looking to understand more about where their food and drink comes from and how they are made. Craft spirits are no different, so always look to explain where you source your ingredients and why you use what you use, why are they special. Another element to consider is history sells! Having a heritage drinks brand can be a massive selling point and a great way of differentiating your drinks brand from the crowd. Is your craft gin distilled in a country house, unique heritage building? Does your drinks band have a historical connection to a famous person or event? The secret to creating a great drinks brand is to have an engaging back story. We live in a world where design matters. No one will taste your gin if they never pick it off the shelf, you are directing competing with 300 gins so yours needs to stand out whilst retaining a personality that reflects your business. It doesn’t need to be over the top, but it does need to be more than a homemade label. Tell your story through your branding, and show your transparency on your website, but most importantly be contactable. Be human. People don’t buy what you do they buy why you do it, so be consistent with your branding, message and story. Another important factor to consider when it comes to deciding on your packaging is, spirits have to be sold in certain prescribed bottle sizes. Different types of spirits have different alcohol strength parameters, for example, a gin designed for a Martini cocktail might be sold at a higher strength than one aimed at Gin and Tonics. The lower outputs of a small batch Distillery mean that the product has to be sold at a higher margin than a high volume Distillery. The higher value of an individual bottle means that it is commercially viable to send small quantities to the customer via a courier, which is for most start-ups their main route to market. Consideration must be given as to how the product will be protected when being sent to the consumer to avoid breakages and lost in revenue. Now you have a product it’s now time to start getting out there. 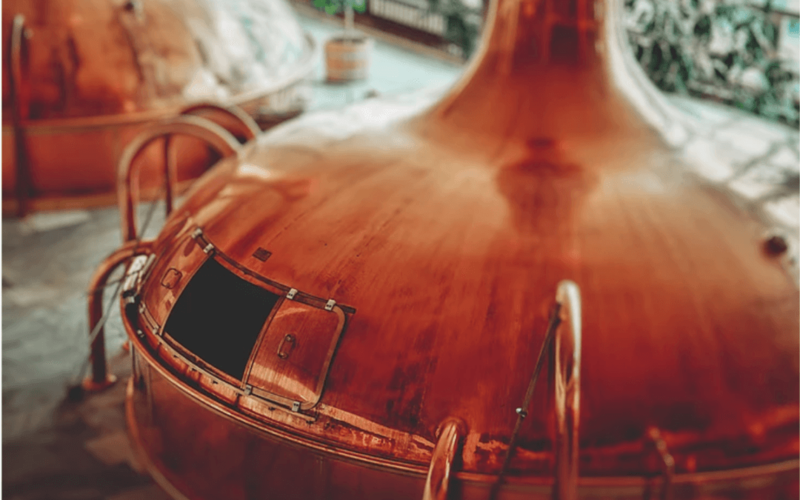 The market for craft distilled spirits has grown dramatically over the last few years, however, you will need to conduct a careful analysis of the geographical and niche opportunities in the craft spirits market to find your niche. Latest research shows that gin sales rose 12% in the 12 months to June 2017 according to the Wine & Spirit Trade Association (WSTA) . The UK exports gin to 139 countries and since 2000 exports have risen by 166% in value. Start off by looking around locally, if you’ve done the previous steps properly, the local market will be your strongest advantage to begin with, as by this point many of them should already be involved or have heard about your story. Local bars and shops will be supportive of other local businesses. Find retailers who also care about what they do and who share your value, as more often than not they will pass the passion across to your consumer and that association will be mutually beneficial. Social media is also a great place to spread the word, but be warned badly executed social media is worse than no accounts at all. Have a think about which platforms will work best for you and your tone of voice and focus on them. 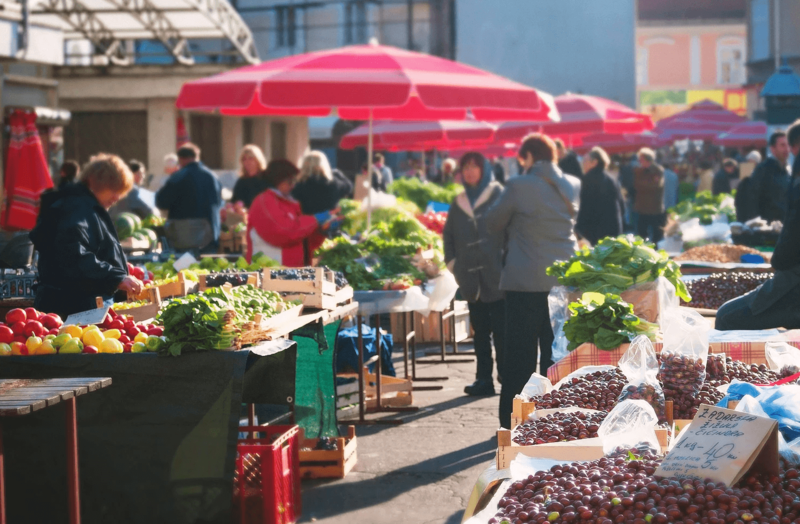 Also consider having a stand at local farmers markets and events as these are an inexpensive way to get your product out there, meet the consumer, get valuable feedback, and build a following and share your passion. Or, if you’re running a fledgling gin business, consider entering the 2019/20 Rural Business Awards. 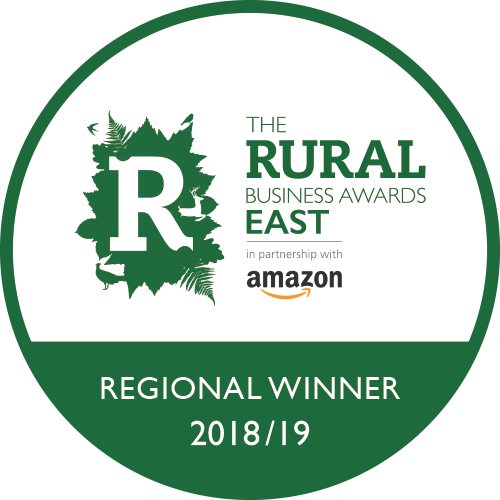 The Best Rural Start Up Award is designed specifically for businesses who began trading in the last three years, while the Best Rural Food & Drink Business Award celebrates the very best of British produce. Click here to learn more.